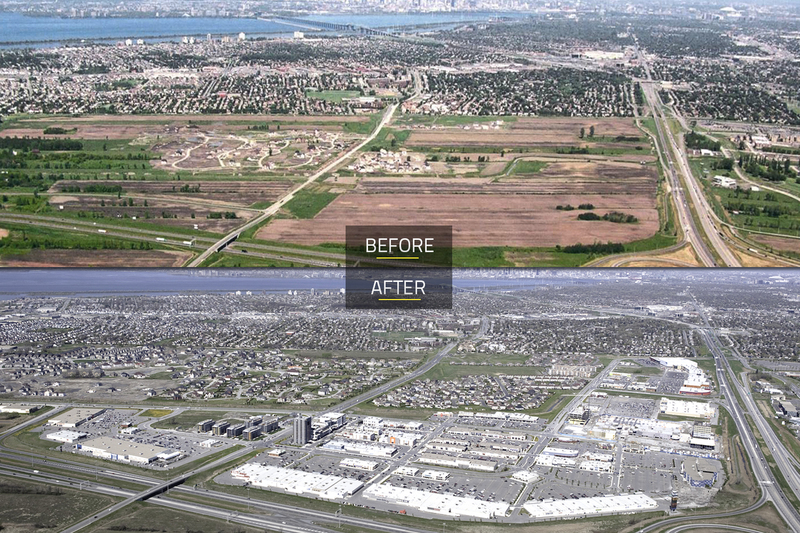 Located in Brossard, at the intersection of Highways 10 and 30, Quartier DIX30TM is the second largest shopping centre in Canada and the first lifestyle centre of its kind in the country. 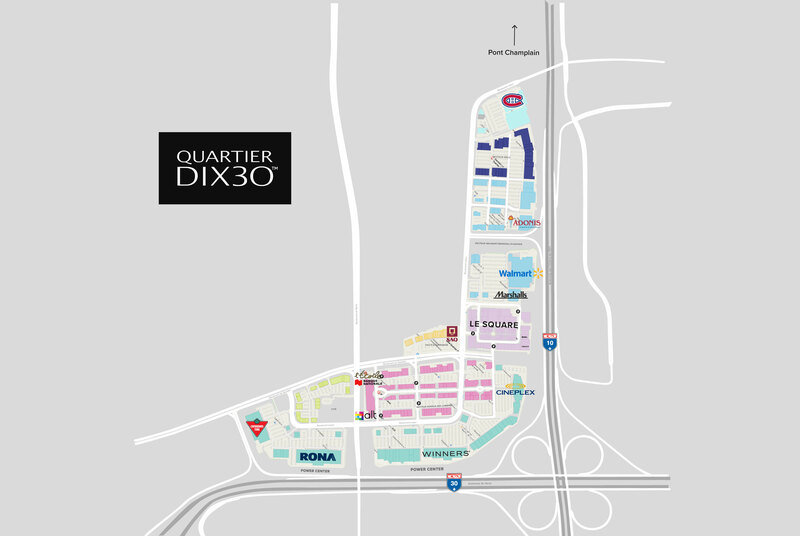 Quartier DIX30TM has grown steadily since 2006 and now has over 300 stores, more than 50 restaurants, two performance venues, a movie theatre, bars and clubs, a hotel, a spa, food outlets, offices, and more. Adding to its appeal, the shopping centre also has 10,000 parking spaces, including 3,500 free indoor spaces for added comfort. The centre is home to major anchors such as Walmart, Canadian Tire, Cineplex and Rona, and it also offers customers a wide range of aspirational brands including Apple, Michael Kors, Williams-Sonoma, Hugo Boss, Lululemon and Forever 21. Quartier DIX30TM is also the only shopping centre in Quebec where you’ll find exclusive retailers such as Pottery Barn. Quartier DIX30TM takes trendsetting to the next level and is a prime destination for anyone looking for a lively, one-stop shopping environment. SQUARE DIX30TM is a brand new section made up of 70 shops, 10 restaurants, a performance venue, a full medical clinic, and two office towers located right in the middle of DIX30TM. It also has free underground parking with 2,100 heated spaces.